Family portraits at the beach should be about fun, smiles, and family togetherness, just like your vacation. We take this idea very seriously and stop at nothing else. We have devoted our lives to perfect family photography over the past fifteen years. Please take the time to understand how our experience can work for you. 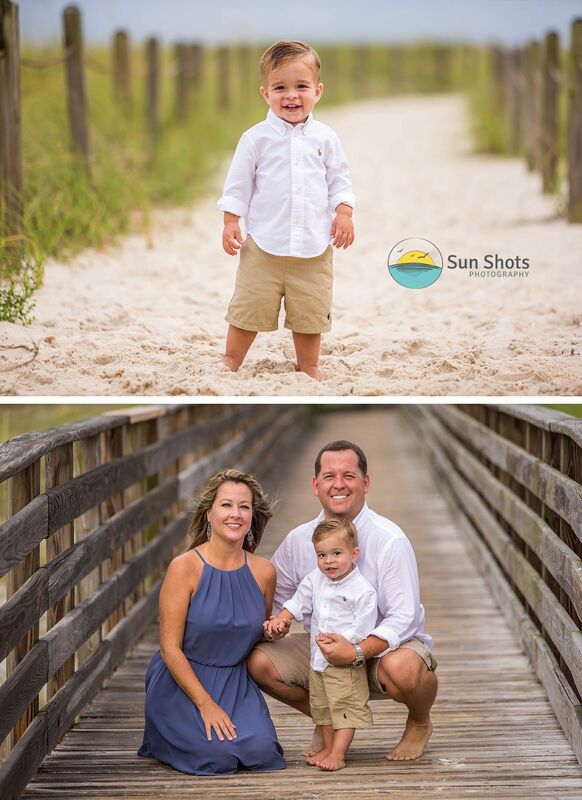 We would love to talk to you more about your very own family beach portrait session. With school back in full swing, and fall coming quick, it is the perfect time for a last minute vacation in paradise. A special thanks to the handsome little fellow and his family from last night's sunset session. This little guy was quite the ham for the camera. We had such a great time working with all three. Thanks so much, guys, for doing your research and booking a family portrait session with us. We are so excited to see the results and are positive you will be doing the same as soon as you login into your gallery today. If you have any questions, please feel free to give us a call anytime. So if you are looking for a last minute break to the beach, give us a call today. We can even get you in touch with a place to stay. Looking forward to hearing from you, so don't delay, get your family to the beach as soon as possible. Football weather will be here before you know it, so make sure you have that tan ready for the cold burst of arctic air coming soon, and ready for your family portraits at the beach!